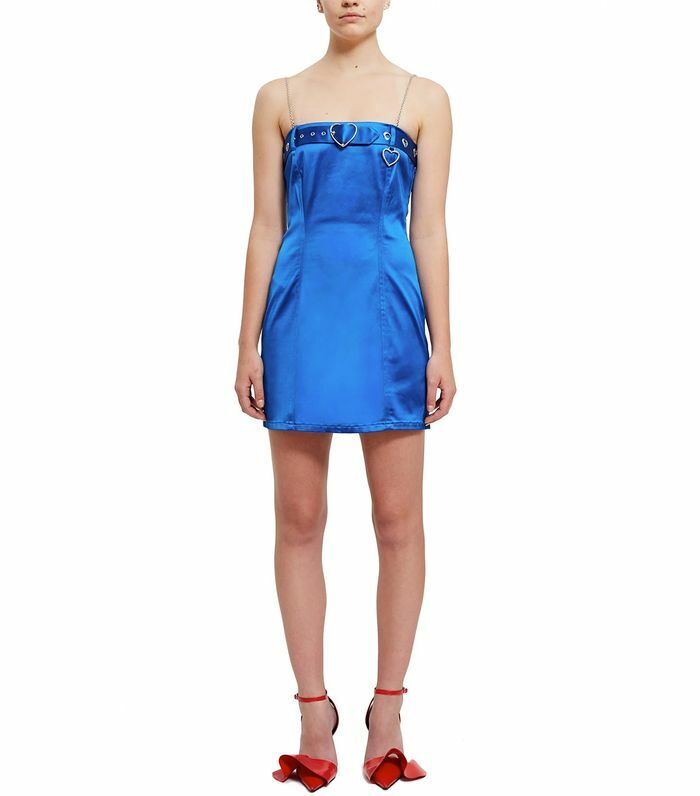 It's officially Libra season, and as a true (and I mean true) Libra myself, I've only had one thing on my mind—my birthday dress. To be completely honest, I don't even know what I'm doing for my birthday yet, but that's never stopped me from buying a dress to ring in another year of life in before, and 2018 is no different. If you're anything like me (which I'm assuming you are if you're a Libra), checking the "birthday dress" task off your list of things to do will have you feeling 10 times less stressed. Because let's be real: Planning a birthday kind of throws a wrench in your balanced little life and that just won't do. Ahead, I have rounded up 20 dresses that were basically made to be the ultimate Libra birthday outfit. From sequins to feathers and back again, the selection ahead will have you feeling inspired to plan the best birthday of your life—or at least one that will get you your best birthday Instagram picture yet. The only way I want to wear anything belted right now. This dress is a photo op waiting to happen. Just the right amount of feathers. The kind of dress you can wear to your party, and then her party, and then your party again. Vintage princess vibes are written all over this. Whether it's a black-tie affair or a trip to Vegas, this dress can do no wrong. Can you tell I like sequins? The sleeveless version of this dress is just as good. Now that's a party dress. Meet one of our favorite designers right now. Wear this with sneakers for a more casual night or with strappy sandals for an Attico-esque moment. You can never go wrong with hot pink or a classic slip dress. Garden party, but make it modern. Tibi is our weakness time and time again. A mini version of a feathered dress. A statement sequin bag is just what this dress needs. Next up, shop the nine fall outfit trends New Yorkers are already wearing.